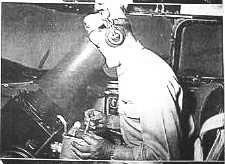 As early as August 1936, Lt Cdr D.S. Fahrney of the U.S. Navy suggested the development of unmanned remotely-controlled aircraft for use in combat. A low-priority program to develop these aircraft, called "assault drones" at that time, was begun, but progress was slow because necessary technology was simply non-existing. 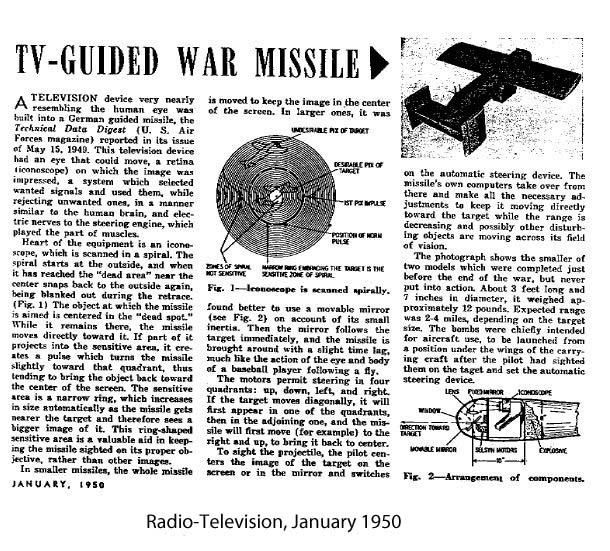 However, around 1940 two new key components were ready for testing, the radar altimeter (to prevent the drone from flying into terrain) and television (to make guidance from a stand-off distance possible). At the beginning of World War Two, RCA focused its TV engineering effort on developing military uses for television. A smaller version of the Iconoscope, the 1846, was developed to be put in a lightweight camera. In 1941, converted manned aircraft were flown under remote control, where the operator in the control plane no longer needed to keep visual contact with the drone but could instead watch a TV screen with an image from a drone-mounted camera. In April 1942, a TV-controlled drone was successfully guided into a target ship from a control aircraft 50 km (30 miles) away. 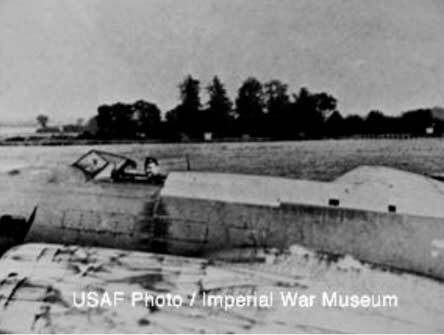 Navy LBE-1 "Glomb" television-equipped glider, was towed by the pilor plane to within a short distance of the target, then released. Another company that made cameras for the military was Remington-Rand. In addition, please see our page on Television during World War Two. 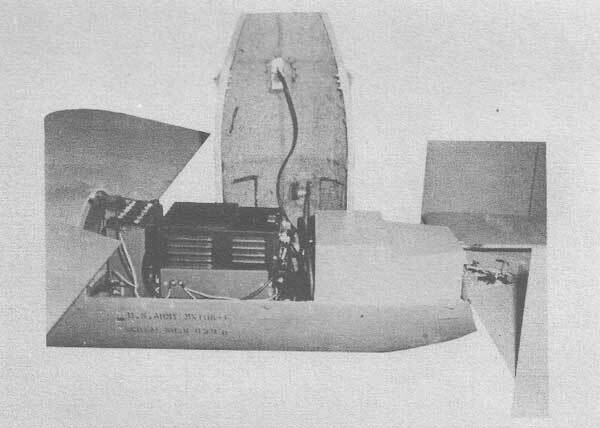 Side view of the Army's GB-4 radio controlled television glide bomb. The front third of the body was a 2000 pound demolition bomb. Front view. The small wing surfaces gave the bomb an 8-1 glide angle, allowing it to be dropped at some distance laterally from the target. Rear section with the upper half of the fuselage removed to show the transmitting and control equipment. 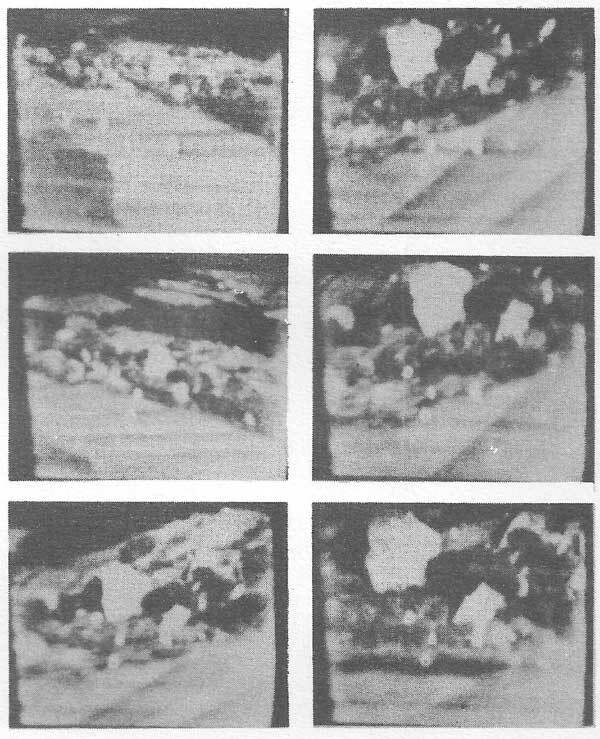 This series of pictures, enlarged from a 16 mm film, shows a GB-4 glide bomb approaching a target in Germany. The target is the white objecct in the center of each picture. In the B-17, one person operated the television camera, while another person attempted to guide the glide bomber to its target. The glide bombers turned out to be difficult to control, and the pictures from the television cameras were poor. Few of the glide bombers actually hit their targets. The planes used in the project were called "Weary Willies" by their crews. To make egress easy and to aid in the loading of explosives, engineers went so far as to cut the roof off of at least one B-17. The open-cockpit bomber, a unique aircraft if there ever was one, was dubbed “Roadster” by its crew. The early evening of 12th August 1944 was typical of late summer, calm and warm after a very hot day. The air was filled with pleasant smells of harvest, and fields swaying with golden corn or with regimented rows of already cut sheaves. The sky hazy blue but cloudless. In the stillness, staccato sounds of Packard Merlin engines being ground-run on Mustang fighters of the 357th Fighter Group USAAF at nearby Leiston airfield could just be heard. As I played with my elder brother Peter in the garden of our house at Dresser's Cottage, Darsham, we heard a deeper drone approaching from the south. Although not yet ten, I was already fascinated by aircraft. I had amassed a collection of recognition material from the local Royal Observer Corps. As the noise grew louder I was very excited to see a loose formation of aircraft led by a Liberator bomber passing close to the east, on a northerly heading. I immediately attempted to identify the accompanying types and listed two Hudsons (actually their larger brother - Venturas), two Lightnings, two Flying Fortresses, and a Mosquito. Several local Mustangs flew at a discreet distance. As this unique assembly passed by at about 1,500 ft, a thin trail of smoke was discernible coming from the rear of the Liberator's weapons bay. Then I watched in horror as the lead aircraft exploded in a huge fireball. I vividly remember seeing burning wreckage falling earthwards while engines with propellers still turning, and leaving comet-like trails of smoke, continued along the direction of flight before plummeting down. A Ventura broke high to starboard and a Lightning spun away to port eventually to regain control at tree-top height over Blythburgh Hospital. While I watched spellbound, a terrific explosion reached Dresser's Cottage in the form of a loud double thunderclap. Then all was quiet except for the drone of the circling Venturas' engines, as they remained for a few more minutes in the vicinity. The fireball changed to an enormous black pall of smoke resembling a huge octopus, the tentacles below indicating the earthward paths of burning fragments. The explosion had occurred directly above my grandparents' house near New Delight Covert, Blythburgh Fen, and wreckage was strewn over a wide area. There were no casualties on the ground but damage to property was widespread. Grandfather listed 'roof tiles dislodged, all ceilings down, walls cracked, glass blown out of windows'. Similar damage occurred at a second cottage nearby and at Aunt Ada Westgate's Shepherd's Cottage one mile north-east of the datum point. A visit to the crash site next morning showed that most of the lighter wreckage had fallen directly below the point of detonation, where a fierce fire had burnt a large area of heathland. The heavier engines, propellers, and main undercarriage assemblies were found over a mile to the north. A poignant reminder that lives had been lost was provided by the tattered fragments of parachute silk and cord entwined amongst brambles bordering the B1125 Westleton to Blythburgh road. Then, I had no idea what caused the disaster or the number of crew members involved. I assumed that it had been carrying the ten persons usual for USAAF Liberators, unaware that the doomed aircraft belonged to the US Navy, although the colour schemes of both it and the Venturas were new to me. Sixteen years passed before the reading of a newspaper article began the process of piecing together the story recounted in History Note 12. On that summer's day, Joe Kennedy Jr., elder brother of a future United States President, had died. 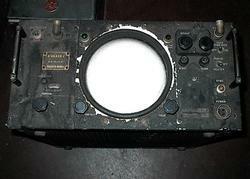 Another program that used the Block television system developed by RCA was TDR-1 (Torpedo Drone 1). The TDR-1 Assault Drone (manufactured by Rudolf Wurlitzer Company,and assembled at Interstate Aircraft Plant, DeKalb Division) carried a 2,000 lb. bomb load or torpedo..Its Control Plane, a TBM (design by Grumman (TBF) and manufactured by General Motors), carried a crew of four which included two pilots, each of whom, by transmitting radio signals could control the flight of the drone (left, right, up, or down) and also its speed and altitude. The latter through a radio altimeter called "ACE" with settings from 50 to 1500 feet above sea level. One of the two pilots, the one in the front seat of the Control Plane, was the Commander of this "element" (the Drone and its Control Plane). The Control Plane Pilot (CPP) took control of the drone immediately after takeoff and directed the drone to within "television sight" of the target. In the second seat, directly behind the CPP, is the Drone Control Pilot DCP. This is his primary job He is hunkered down over a small (six inch face) television screen receiver. The picture is transmitted from a TV camera located in the nose of the drone. The TV picture he sees is what he would see if he were in the drone looking straight ahead. As soon as he has a picture of the target on his TV screen he notifies the CPP. At this point, the Control Plane Pilot can leave the area - increase his "open out" or "standoff range" from the target, since the Drone Control Pilot has taken over and guides the drone on its "run-in". He finally crashes the drone against the target or performs other functions such as dropping bombs or laying smoke. 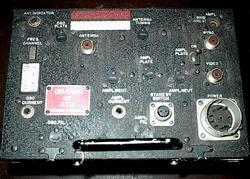 The CPP and the DCP each have a device similar to a rotary phone base with dial and miniature control stick. The stick is used for attitude control and the dial for function control. To turn, the stick is used. By dialing ACE, the radio altimeter will keep the drone ar the height he has selected. By taking the drone off ACE he can resume manual control which is required during the last stages of the approach to the target..
At one time in March 1943, the Navy had plans to order up to 2000 assault drones, but program delays caused by technical problems and the low priority meant that this number was soon drastically reduced to about 300. 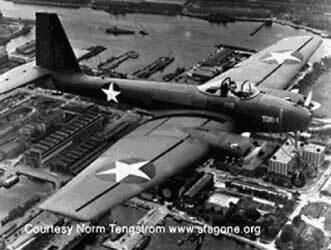 In 1944, a single unit with TDR-1 drones and converted TBM-1 Avenger control planes was deployed in the Pacific. In September and October that year, 46 TDR-1 drones were expended, of which 18 scored hits on the target. However, the Navy's assault program had already been terminated shortly before these operational missions, mainly because of delays, mediocre test results, and the success of conventional weapons in the Pacific war. A total of 189 TDR-1s had been built. Due to its experimental nature, the development of the TDR-1 was severely hamstrung. To save vital materials for more significant projects, the final version of the missile featured an airframe constructed almost entirely from wood. It was very slow, carrying twin non-military 230 h.p. engines, although with its big wings it proved nearly impossible to stall. 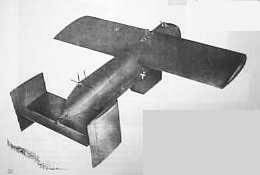 In many respects the TDR-1 resembled a small plane. It actually could be flown like one, courtesy of a removable cockpit which allowed a pilot to ferry it from place to place. In August of 1943 a variant of the TDR-1 demonstrated carrier launchings from the “Great Lakes flattop” USS Sable. But just when it looked like the Torpedo Drone might enter combat, Admiral Nimitz declared that he would not brook any such experimental weapon aboard his fleet carriers. The missile did receive a reprieve of sorts. In September of ‘44 orders arrived for the Torpedo Drone unit, known as STAG-1, to take up station in the Russell Islands and conduct a large scale test of the missiles. 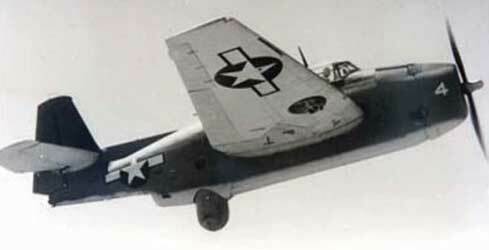 They proceeded to undertake nearly 50 missions against Japanese installations using TBM-1c Avengers as control planes. Their targets, all on islands “hopped over” by the Allied campaign, included anti-aircraft sites, bridges and a couple of grounded ships. About 50% of the attacks were judged to be successful. Tokyo Rose herself commented on the strikes, labeling the drones “American Kamikazes.” The Japanese failed to realize the planes had no pilots! Despite the success of the TDR-1, it was withdrawn from combat after less than two months. The final assault on Japan loomed, and it was becoming increasingly clear that brute force, and not precision strikes, would be needed to crush the enemy. Still, the Torpedo Drone provided valuable experience and is gaining recognition as America’s (if not the world’s) first legitimate guided cruise missile.